Description Ink smear on front. 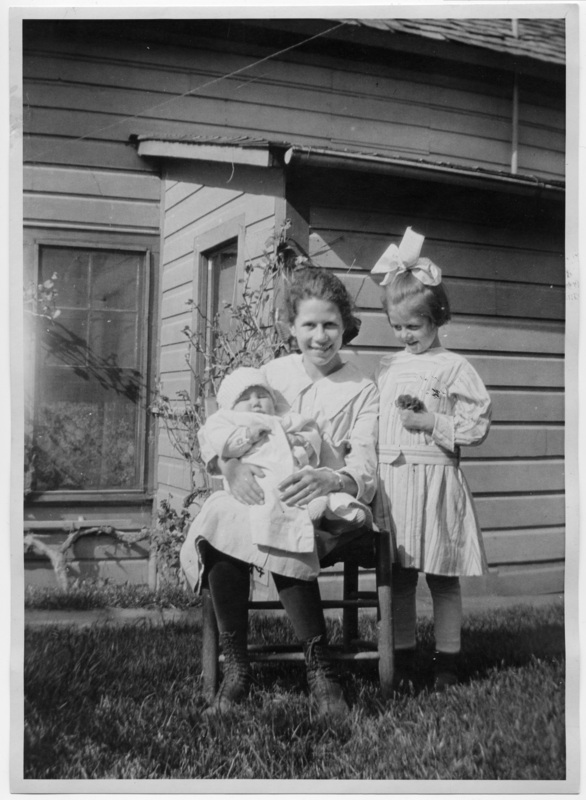 Edith holds baby Charles. Ava is standing.